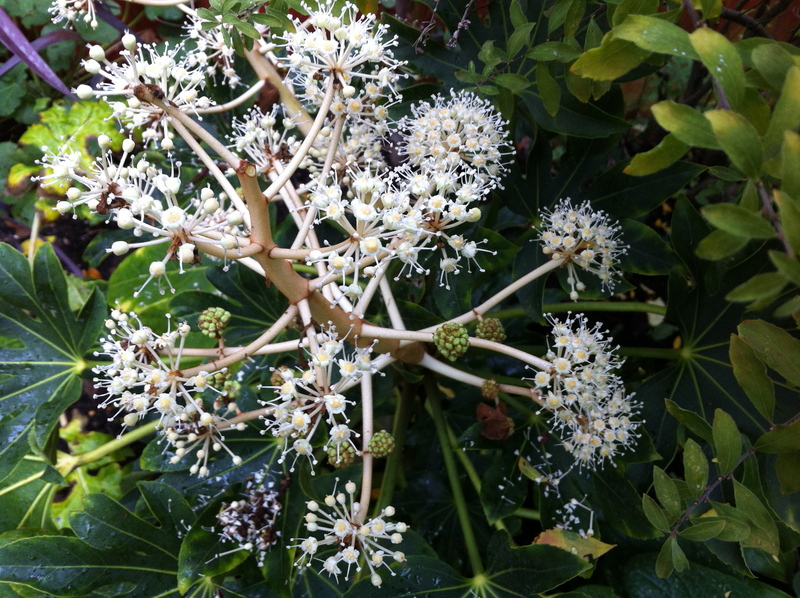 The small Fatsia Japonica plant that we have is now flowering. It is about a year or so old and so this is only its second go at flowering. The first time wasn’t very impressive, this time is a little better, but the flowers on a Fatsia Japonica are nothing to write home about. They’re grown instead for their deep green, lush, evergreen foliage and their large leaves have a tropical look. Ours is rather small at the moment (about two feet tall) but Fatsias can grow to be very large.